At least sixty percent of the hunting on Escondido Ranch is done by boys and girls between the ages of 9 and 17 years old. Most of these hunts are donated by Escondido Ranch to various youth hunting programs, such as Operations Orphans, and the Texas Youth Hunting Program which is run by the Texas Wildlife Association. 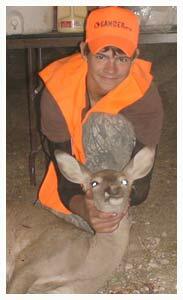 Each of these programs is very successful in providing youth hunting opportunities. Operation Orphans was started by a Texas Game Warden named Gene Ashby in 1960. He recognized that central Texas was overpopulated with deer and saw this as an opportunity to provide a hunting experience and food to disadvantaged children. He recruited citizens of Mason, Texas to help clothe, feed, and guide the children. Nearby ranchers donated the use of their land for hunting. Operation Orphans now has their own camp in Mason that provides meals and lodging for the children before and after the hunt and has provided at no cost, hunting opportunities for thousands of Texas youth. The Texas Youth Hunting Program (TYHP) run by the Texas Wildlife Association (TWA) provides hunting opportunities for a small fee to boys and girls ages 9 to 17. Ranches like Escondido donate the hunting on the ranch for a set number of hunters for the weekend of the scheduled hunt. TYHP fills the available hunting opportunities from their pre-registered group of youth hunters. TYHP provides the guides and hunt masters, and cooks the food for the weekend. When the youths are not out hunting, the guides set up tracking exercises and hunting scenarios for the young hunters to practice on. This program helps start young hunters to become safe and ethical hunters. Escondido Ranch feels that unless more children are exposed to ethical and safe hunting, our rights to hunt may be voted away by uninformed future voters. 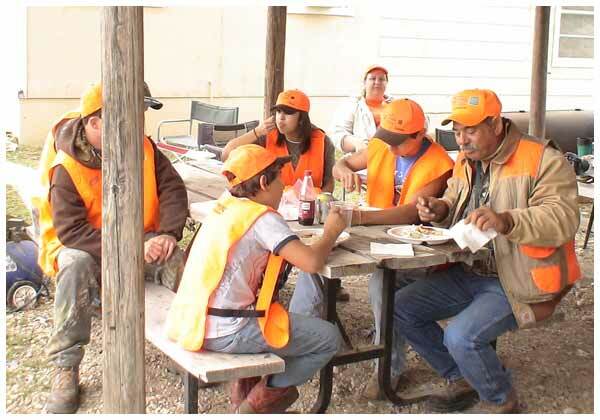 The opportunity provided by Escondido Ranch for a youth hunter to view wildlife, understand the basics of game management, and perhaps harvest a deer for food, may be the only opportunity to do this that the youth might have. In providing this hunting opportunity to youths, Escondido Ranch is also reducing its population of game animals, helping keep the population within the carrying capacity of the habitat, making youth hunts a winner for all involved. The guides on Escondido Ranch have vast experience in helping youths harvest their first deer, why not let them help your youth harvest theirs?